My wife and I live pretty simply, and keep no more than a week or so's vegetables, eggs, and meat in our fridge at most times. 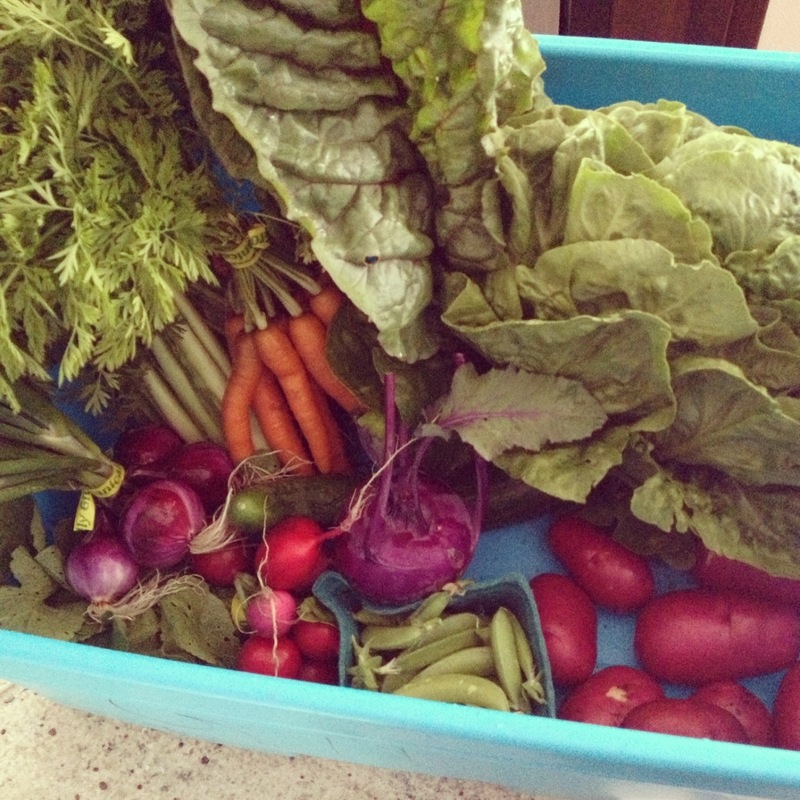 This summer, our produce has been coming from our CSA subscription--even simpler than usual! Sure, we have some bulk nuts and coconut oil in the fridge, and condiments, and some frozen berries and almond flour in our freezer. But, when we adopted the Bulletproof Diet/Paleo Diet, we realized that one essential part of the lifestyle for us was eating grassfed, local, free-range, hormone-free, quality meats. Meats from healthy animals, as they say! "How do we buy meat?!?" We had never bought and cooked meat before. My wife had been vegetarian since she was 14, and I didn't cook much. Luckily my mom had been buying cow and pig shares from a local farm, which took away the mystery of ordering directly from the farmer and buying meat in bulk. We got to try some of her beef and pork, and loved it. We were ready to order 1/8 cow for ourselves! (See my posts about Kookoolan Farms here.) That first 1/8 share was fine. We brought it home and filled our fridge's freezer. We were sold on buying grassfed meat in bulk, and paying a fantastic price for all those cuts! We wanted to buy all our meat from local farms, and find sources for all the types we'd want. We wanted to take home the extra organ meats, fat, and bones the farm offers customers for free, but were worried we wouldn't have room to store them! Then one day I picked up our share at the farm--1/4 cow this time, although we sold some of it to friends and family--and I also brought home quite a few pounds of fat, bones (both loosely packed in plastic bags), and organ meats. Everything was frozen, but when I got home I quickly realized we had nowhere to put all of this amazing, nutrient-rich, nourishing local food. We are so grateful to those cows for converting grass into nutrients we need, we want to use every bit of them! And we want to get them directly from the farmer, so we know where our food comes from and how it is raised! And we love having lots of meat in the freezer, ready to be thawed whenever we need it! But all that meant we would need more ROOM to store it. So, that very day, we checked out the local Fred Meyer store ad--they had a small deep freezer on sale for $150. We called them, asked them to hold it at the check stand, and bought it immediately. We set it up in our garage, and there it sits--holding all the good stuff we don't have room for upstairs. We also put our bulk Kerrygold grassfed cow butter cases in it! (We order it wholesale from Whole Foods and get 10% off.) And you can see the base of the ice cream maker--for our Bulletproof "Get Some" Ice Cream! The freezer's looking a little empty, actually. We just ordered a whole lamb from another local farm we just found, so will soon have 50 or so pounds of meat plus bones and extras! We also have another cow share coming. Yessssss!! We love having the freezer, and are so grateful we were able to go out and buy it when we needed it. Maybe someday we'll get a bigger one, or an upright one, but for now we love our small one. I know Craigslist can be a good place to shop for freezers, too. I bet you can find used ones pretty cheap! The small ones aren't too heavy, either, so they can be moved around in your garage or basement, or if you move. Imagine... spend $50 - $150 now on a freezer and buy a cow share for $6/lb instead of $6 - $20/lb (for lesser quality meat, probably) at a nice grocery store. You save money in the long run! What do you do to save time and money while buying high quality foods? Have you found a freezer or any other equipment helps you out? ?